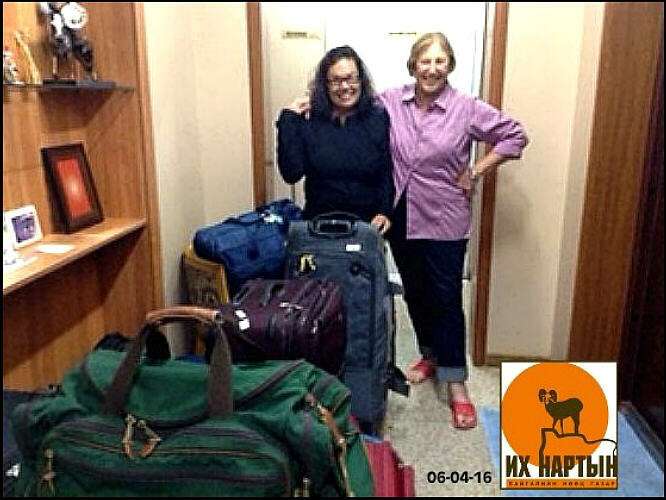 Robin Connors, Anza-Borrego State Park Archaeologist, and Joan Schneider, Archaeologist, getting ready to leave for Ike Nart Nature Reserve. They conduct archaeological field work there as part of a multi-year project. CDAS volunteers Susan Gilliland, Lance Deibler, MaryLou White and Christiane Villescaz accompanied the archaeologists.